25 things outside of my friends and family that bring me joy . . . The GEICO Gecko is defiantly cute! and cheeky! 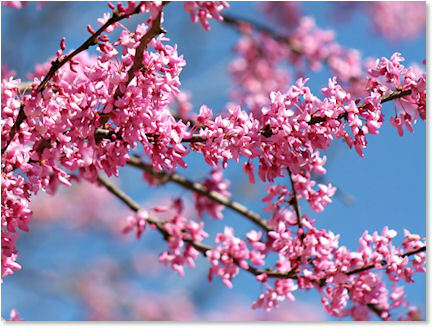 Enjoying the beauty of a redbud in full bloom. We planted one for our daughter outside the living room window, and every spring it bursts into glorious hot pink blooms. What a gorgeous shot – thank you!